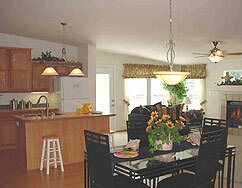 Click here to view examples of our floor plans. To achieve customer satisfaction, by selling enhanced value homes, in a customer friendly shopping atmosphere. As a result of the commitment, Home-Mart, Inc. has achieved the unique position in the manufactured housing industry of having been named Retailer of the Year for six consecutive years. Give us the opportunity to show you why. "...I had to let you know how absolutely thrilled I am with my new Fuqua Home. We couldn't be happier. It is everything we expected and so much more! Our total utility bill (both gas and electric) averaged $59.78 for the five months of November through March. We are saving over $100 per month in energy costs from our previous home. We require each of our factories to conduct a thorough inspection of every home prior to its shipment from the manufacturing center. We inspect every home with a thorough checklist when it arrives from the factory. We conduct a pre-delivery site inspection to determine routing, site accessibility, specific location and soil density. We conduct a comprehensive "walk-through" inspection with every installation crew prior to the completion of the set up. A 73-point checklist is utilized to examine virtually every aspect of the home. We select homes to sell that are built to last. 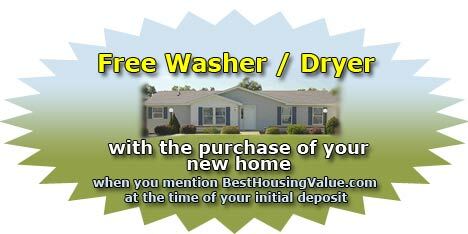 Each home has a five year structural warranty in addition to the limited one-year warranty offered by our competition. The following components, when included as part of your specifications, offer even more extensive protection. Ten year warranty on NovaDeck flooring. Lifetime warranty on vinyl siding. We provide a toll-free number for convenient access to our Customer Care Manager. To achieve customer satisfaction by selling enhanced value homes in a comfortable shopping atmosphere. 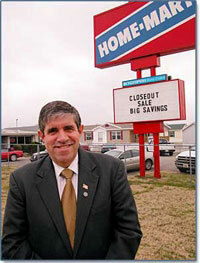 "Open Doors, Posted Prices, Shop with Ease at Home-Mart"